We have state of the art shop equipment. No problem or repair too big or too small. 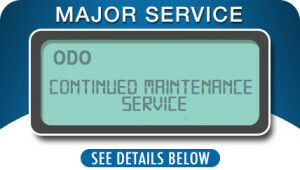 We specialize in everything from light duty preventative maintenance to heavy duty diagnostics and repairs. Below are some of our most popular services. All of our services and repairs carry a 24-Month/24,000 mile warranty. We offer complete services for all Honda Acura Lexus and Toyota vehicles. All of our technicians are highly trained and ASE certified. Unlike other repair shops, we are not “looking” for problems to repair. We want to help you keep your vehicle running as good as possible for as long as possible without breaking the bank. 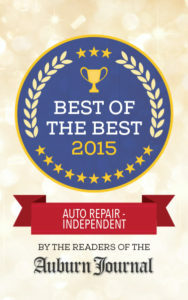 The Auburn Journal has again voted Master Technicians Best of the Best for 2015. Holding the Best of the Best title since 2001!